Light green coloured panel on chest and feet. Removable inner stuffing. 100% Polyester plush. 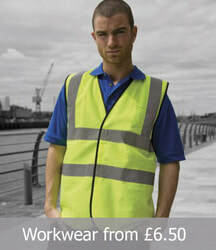 Trade suppliers of embroidered merchandise for over 25 years. Specialising in supplying high quality trade embroidery to PR agencies and promotional gift companies worldwide. Our family run business has developed a range of services which will enhance your clients garments and increase your sales potential. Our extensive experience in promotional embroidery on corporate clothing as well as workwear, schoolwear and sportswear has ensured our service is second to none. We offer a tailor made embroidery service to suit your needs which includes in-house digitising using top of the range Wilcom Embroidery Studio e2 software. We also offer re-labelling, re-bagging and even personalised packaging so your clients are reminded of you when their order arrives. Based in Andover, Hampshire our factory has the very latest technology with a total of 77 heads working for you to produce the high quality embroidery you demand. With a choice of up to 12 colours per design the possibilities are endless. Eco-friendly threads can be colour matched to replicate your clients logo easily with our extensive range of over 350 shades. We are proud of our reputation for outstanding customer service which extends from our order processing administrators to our dedicated sales team so if you have any questions regarding an order or need advice to help secure a sale please contact us.